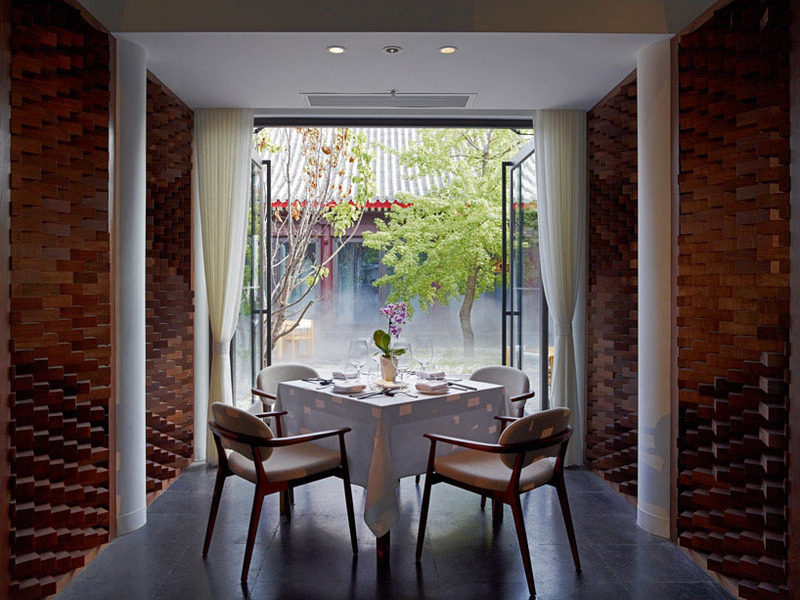 King’s Joy Vegetarian Restaurant in Beijing, China offers a pleasant contemporary environment with atmosphere of courtyard houses. Design firm Atelier FCJZ created two focal areas for the restaurant, an indoor courtyard and an outdoor courtyard with a bamboo garden. 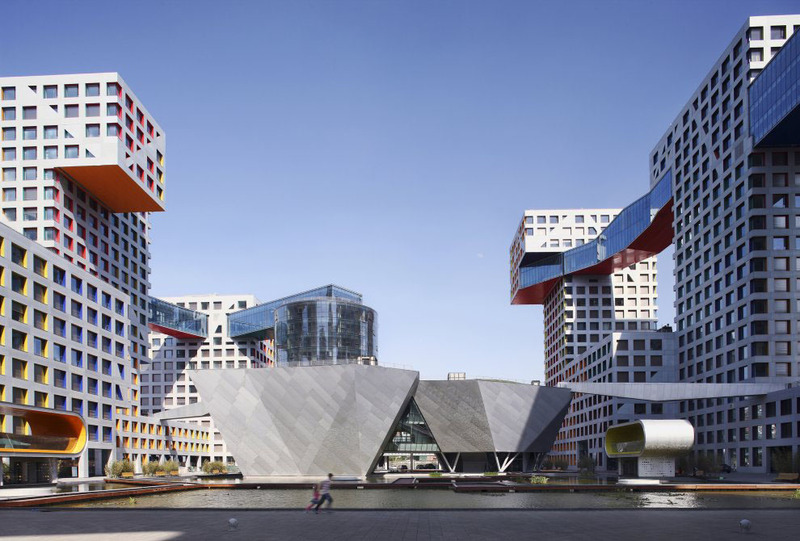 The Linked Hybrid apartment complex in Beijing, China is an innovative residential development designed by Steven Holl Architects. Eight 22-storey buildings are connected by pedestrian skybridges at their upper floors, encouraging residents to walk around the “neighbourhood”. The ground level is a public urban space with a hotel, restaurants, shops, a school, a cinema and an elaborate courtyard garden with a reflecting pool that becomes an ice-skating rink in the winter. This 21st-century residential architecture design offers a groundbreaking model for mixed use urban space that creates an open city within a city.